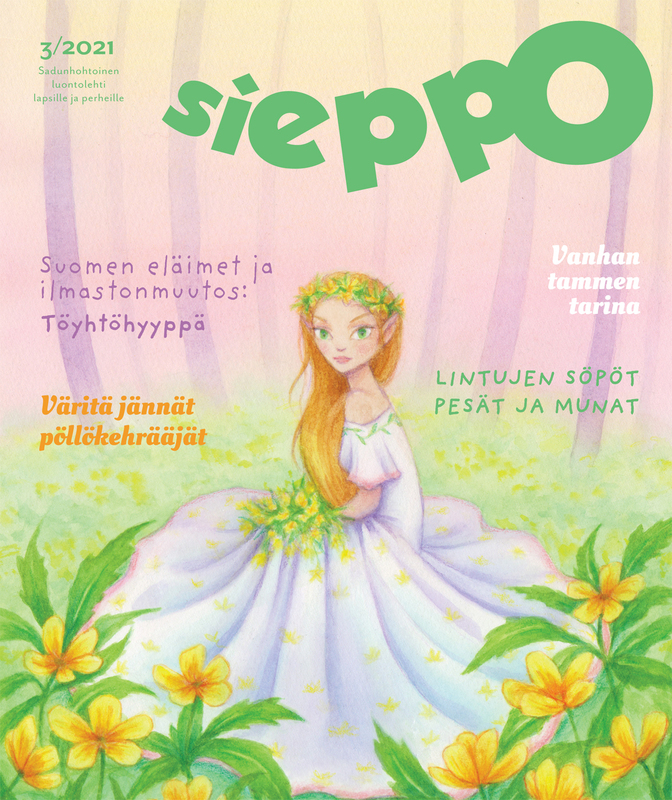 Sijainti: Pääsivu / Blogi / Wolves and Humans – A German love story? Since the turn of the century the wolf is back in Germany. Surveys revealed that the majority of the German population is wolf friendly. Nonetheless, as the number of wolves increases, so does the number of the potential conflicts. Wolves and humans in Germany, is it really a love story? In the year 2000 the first wolf offspring since over 150 years was documented in East‑Germany. Now, 17 years later, the German wolf population has grown to around 300 ‑ 400 individuals, counting around 46 packs, 15 pairs and 4 territorial individuals . The natural conditions for further development are good due to the riches of the forest, providing sufficient food sources by roes and wild boars. Experts in biology and forestry value the positive influence of the wolf on the German ecosystem. Wolves attack preferably weak and sick prey, leading to healthy, resistant and vital herds of deer and boar. The prey leftovers serve as food source for many other mammals and living organisms . Furthermore, herbivores as deer cause extensive peel and bite damages to trees in German forests. For the protection and sustainability of the forest, foresters need to extensively fence areas requiring massive amounts of resources. The length of forest areas protecting fences in Germany cumulates over 70.000 km, causing annual costs of over 90m € payed by taxes . Furthermore, Germany has a boar problem: in 2016 over 600.000 boars were shot and still the damages in agriculture were immense, going into the millions  . Here the wolf comes into play, acting as “natural forester”, contributing to the healthiness of the forest by influencing the amount and habits of herbivores and boars. The wolf encourages diversity and stability of the ecosystem . 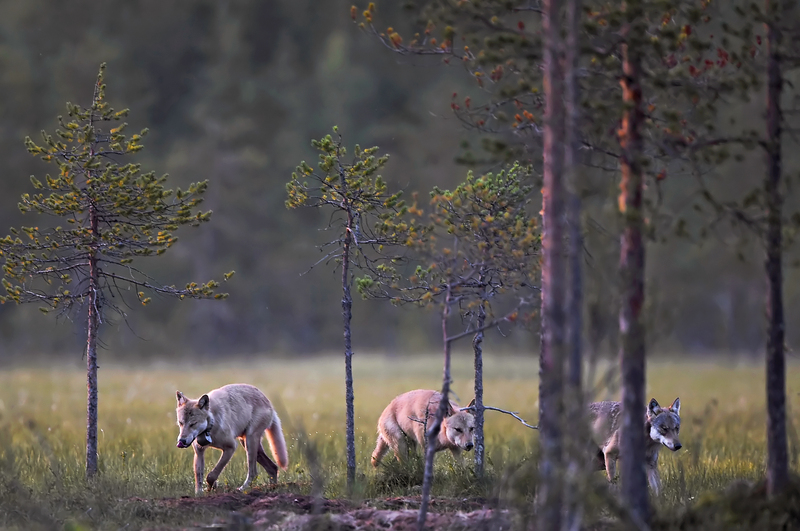 A 2014 WWF study has shown, that most of the German population is pleased or neutral about the reintroduction of the wolf, while a minority (15 %) is dissatisfied . However, the wolf as a predator does not differentiate if his prey is owned by humans and causes conflicts between different interest groups. The biggest groups refusing the wolf are hunters and livestock farmers, especially sheep farmers . 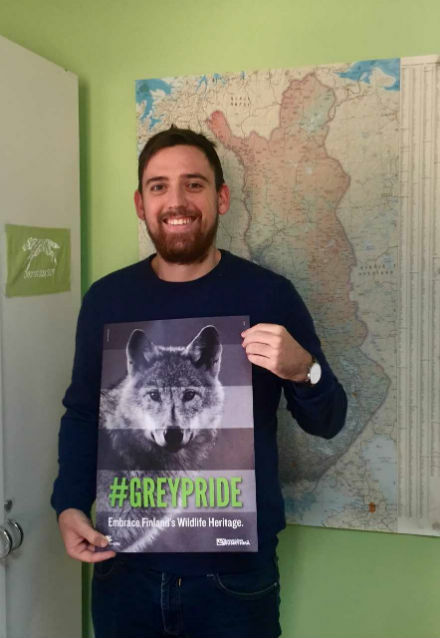 Furthermore, in 2017 federal state elections in Lower Saxony, the wolf was used as a campaign issue , an alarming signal for nature conservationists. To address the concerns of different interest groups a comprehensive wolf management is inevitable. In Germany the wolf management is conducted by the federal states in management plans. The management plans officially regulate how authorities handle the wolf, including stringent wolf monitoring, professional information services for all related stakeholders and a system for damage prevention and compensation  . Since 2016 the DBBW, a new nationwide information centre cooperating with scientific research institutions is implemented. Regional authorities can ask for counselling service and advice regarding the wolf . The wolf management includes measures for how to deal with wolves in conflict situations. It is stated out, that killing a wolf is always the last possible solution only applicable, when special conditions are met and all alternative measures have failed. The monitoring allows to get scientific information of the development status of the wolf population. The aim is to achieve and maintain a favourable conservation status. Therefore, the following methods are applied in Germany: Documentation and collecting of traces, excrements and kills, genetic and diet analysis, utilization of camera traps and collaring with GPS transmitters. The monitoring is an important contribution to the public relation work and to livestock protection. Thus, the presence of a wolf in an area can be communicated in the interest of animal owners . Project example: The project “Wanderwolf” emerged from a cooperation of the SMUL and natural conservation organisations (WWF, NABU, IFAW, GzSdW). The aim of the project is to document the spatial spread and migration behaviour of young wolves in Saxony, East-Germany. For that purpose, 2 - 5 wolves get annually equipped by collar with GPS transmitter. The collaring, processing and evaluation of the data is executed by LUPUS  . Project example: In 2016 the use of sniffer dogs in wolf monitoring for difficult conditions was tested in a half-year pilot project by WWF. Three sniffer dogs were conditioned to search wolf excrements and the project showed promising results. The use of sniffer dogs can optimize the monitoring but to reinforce and proof the result, more data needs to be gathered . Project example: The NABU and the WWF offer godparenthood for wolves in Germany. The godparent donates on a regular basis and gets information about the wolves in return  . Project example: The “Wolfsradweg” (engl. Wolf cycling path) in Saxony is a great example how ecotourism can help to educate people about the wolf. Along the 43 km long path 18 information boards teach interesting facts about the wolf . In Germany, the combination of protecting fences, especially electrified fences, and livestock guarding dogs has shown great success in preventing wolf attacks on sheep herds. Shepherds get financial and counselling support from local authorities and natural protection organisations for applying these measures. Donkeys and lamas, as alarming and well-fortified animals, can be an alternative for herd protection. The efficacy of donkeys and lamas has not yet been sufficiently tested and is an experimental approach in Germany so far . Project example: In a 2010 pilot project, the WWF implemented “mobile task forces” for quick and non-bureaucratic help for recently affected farmers in Brandenburg, East‑Germany. A task force is composed of herd protection experts that integrate trained guarding dogs in a herd in the first days after the wolf attack. The farmer gets time to decide for individual and appropriate herd protection measures without the threat of losing more of his livestock to the wolf . A “problem wolf” is a wolf that shows repeatedly alarming behaviours, e.g. a wolf that repeatedly approaches humans. A non‑lethal measure to deal with this is aversive conditioning. In aversive conditioning a behavioural change of the individual wolf is desired by exposing the wolf repeatedly to dissuasive stimuli. These stimuli can be acoustic, optical, olfactory or direct applied pain. The most frequently named stimulus is to shoot the wolf with rubber bullets . Although aversive conditioning is part of several federal state management plans, practical experiences in Germany are rare. Accordingly, statements to the efficacy of the measure in Germany is not possible. Despite all management efforts and measures, not all conflicts can be prevented. Hunters claim that the wolf significantly reduces the hoofed game stock, eradicates species, hinders the hunting and reduces the hunting outcome. Studies proof, that these concerns are in most cases unfounded. Nevertheless, it is not appropriate to generalize that hunters are against the wolf. The ÖJV encourages the wolf as a natural supporter in their efforts to keep the ecosystem healthy and diverse  . The paper emphasizes, that the willingness to compromise is essential for a positive dialogue. Examples like that prove that coexistence is possible, not only with the wolf, but also with different interest groups. Research has shown that the attitude of the German population is generally positive about the reintroduction of the wolf. Still, the wolf polarises and triggers conflicts. The wolf and the Germans, it is not a love story yet, but if the willingness to compromise is encouraged by all stakeholders, it could become one. 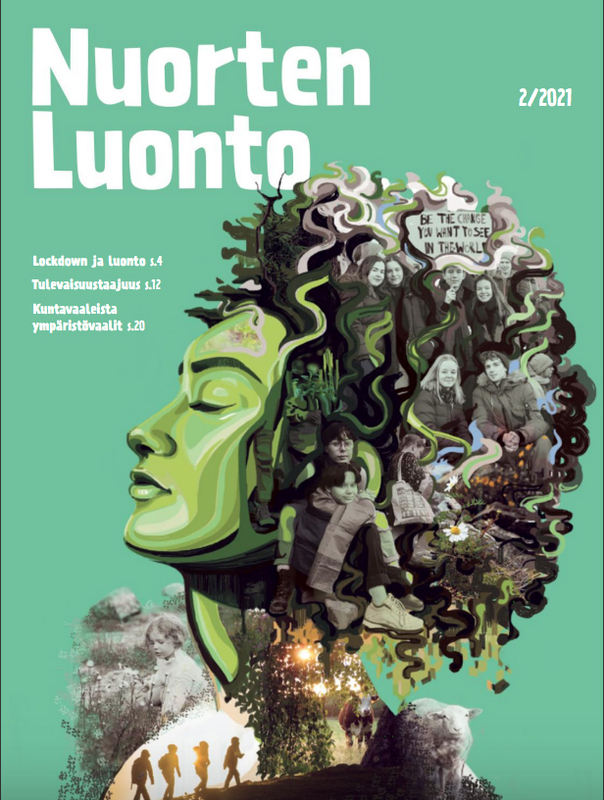 Article researched and written by Stefan Muller and donated to The Finnish Nature League´s Wolf Action Group. „IFAW.org - Die Wölfe kommen zurück,“ [Online]. Available: http://www.ifaw.org/deutschland/unsere-arbeit/w%C3%B6lfe/die-w%C3%B6lfe-kommen-zur%C3%BCck. [Zugriff am 23 10 2017]. „Die Wölfe sind zurück,“ DU UND DAS TIER - Magazin des deutschen Tierschutzbundes, [Online]. Available: https://www.duunddastier.de/ausgabe/die-woelfe-sind-zurueck/?issue=590&y=2015. [Zugriff am 25 10 2017]. F. Wörner, „Der Wolf - Ein Jagdkonkurrent und ein SChädling?,“ Gesellschaft zum Schutz der Wölfe (GzSdW) e.V., Gebhardshain, 2013. J. Pabst und C. Dietz, „Wildschweine fressen deutsche Bauern arm,“ Welt.de, 17 08 2014. [Online]. Available: https://www.welt.de/wirtschaft/article131310883/Wildschweine-fressen-deutsche-Bauern-arm.html. [Zugriff am 26 10 2017]. „Jagdstatistik,“ Jagdverband.de, [Online]. Available: https://www.jagdverband.de/jagdstatistik. [Zugriff am 26 10 2017]. „Bevölkerungsbefragung,“ WWF, 10 02 2014. [Online]. Available: http://www.wwf.de/themen-projekte/bedrohte-tier-und-pflanzenarten/woelfe/wie-denken-die-menschen-in-deutschland-ueber-den-wolf/. [Zugriff am 18 10 2017]. I. Reinhardt und G. Kluth, „Leben mit Wölfen - Leitfaden für den Umgang mit einer konfliktträchtigen Tierart in Deutschland,“ BfN - Bundesamt für Naturschutz, 2007. „Wenn der Wolf in den Wahlkampf zieht,“ NDR.de, 11 09 2017. [Online]. Available: http://www.ndr.de/nachrichten/niedersachsen/landtagswahl_2017/Wenn-der-Wolf-in-den-Wahlkampf-zieht,landtagswahl1344.html. [Zugriff am 26 10 2017]. S. Körner, „Wolfs-Wissen kompakt - Antworten auf die 15 wichtigesten Fragen zu Wölfen in Deutschland,“ Gesellschaft zum Schutz der Wölfe (GzSdW) e.V., 2017. „LEITLINIE WOLF- HANDLUNGSEMPFEHLUNGEN ZUM UMGANG MIT WÖLFEN,“ Ministerium für Umwelt, Landwirtschaft und Energie Sachsen-Anhalt, 2017. „DBBW - Dokumentations- und Beratungsstelle des Bundes zum Thema Wolf,“ [Online]. Available: https://www.dbb-wolf.de/. [Zugriff am 20 10 2017]. „Wolfsmonitoring,“ www.wolf-sachen.de, [Online]. Available: http://www.wolf-sachsen.de/de/wolfsmonitoring. [Zugriff am 24 10 2017]. „Wolfsmonitoring,“ IFAW.org, [Online]. Available: http://www.ifaw.org/deutschland/unsere-arbeit/w%C3%B6lfe/wolfsmonitoring. [Zugriff am 20 10 2017]. „Spürhunde im Wolfsmonitoring,“ WWF, 09 05 2015. [Online]. Available: http://www.wwf.de/themen-projekte/bedrohte-tier-und-pflanzenarten/woelfe/pilotprojekt-spuerhunde-im-wolfsmonitoring/. [Zugriff am 25 10 2017]. „Pate für die Wölfe,“ WWF.de, [Online]. Available: https://www.wwf.de/spenden-helfen/pate-werden/woelfe-in-deutschland/. [Zugriff am 27 10 2017]. „Der Wolf kommt nach Hause!,“ NABU.de, [Online]. Available: https://www.nabu.de/spenden-und-mitmachen/patenschaften/wolf/index.html. [Zugriff am 27 10 2017]. „Wolfsradweg.de,“ [Online]. Available: http://www.wolfsradweg.de. [Zugriff am 25 10 2017]. „Wölfe vs. Nutztiere: Hunde, Esel, Lamas - Die Hüter der Herde,“ WWF.de, 05 02 2014. [Online]. Available: http://www.wwf.de/fotostrecke/woelfe-vs-nutztiere-hunde-esel-lamas-die-hueter-der-herde/gallery/image/page/4/. [Zugriff am 22 10 2017]. „Mobiler Herdenschutz in Brandenburg,“ WWF Deutschland, Fachbereich Artenschutz und TRAFFIC, Frankfurt, 2010. „Leitlinien des Ökologischen Jagdverbands Deutschland,“ Ökologischer Jagdverband e.V., 25 04 2015. [Online]. Available: https://www.oejv.org/. [Zugriff am 35 10 2017]. E. Fuhr, Interviewee, [Interview]. 26 10 2017. „Weidetierhaltung & Wolf in Deutschland - Eckpunkte für ein konfliktarmes Miteinander,“ Bundesverband Berufsschäfer, Bund für Umwelt und Naturschutz Deutschland, Deutscher Grünlandverband, Deutscher Tierschutzbund, International Fund for Animal Welfare, Naturschutzbund Deutschland (NABU), Ökologischer Jagdverband, WWF Deutschland, 2016. J. Brückner, Interviewee, [Interview]. 23 10 2017. P. Blanché, Interviewee, [Interview]. 24 10 2017.